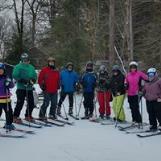 Meet new friends, talk powder (and ice), great ski trips, discounts to local areas. Membership is open to the general public. No affiliation with the General Electric Company. Members must be at least 21 years of age. Junior (under 21) ID Cards available for families, only $10 each. Join or Renew Your Annual Membership Online Now! By paying the annual membership dues electronically, the member acknowledges that the G.E. Ski Club, Inc. has made no representation of any kind and agrees that neither the Club nor its officers are responsible for any acts or omissions of any persons or group and releases the Club from any and all liabilities and claims. The member acknowledges that participating in club events or activities is inherently dangerous and could result in personal injury including, but not limited to CATASTROPHIC INJURIES, DEATH, OR PROPERTY DAMAGE. The member agrees to assume full responsibility for selves, and their accompanying minors (if allowed at an event/activity). 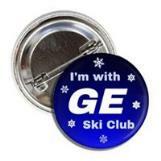 The member further agrees to hold the GE Ski Club, harmless for any injuries incurred while participating at a club activity, releasing the GE Ski Club and officers from any claims or liabilities for any such injuries. Please note: photos taken at club events may appear on any form of social media. Proceeding to the payment processor website by clicking the BUY NOW button acknowledges that the member is 21 years of age and has read and understands this waiver and agrees to its terms. 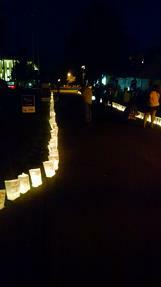 Thank you for using the new online membership payment process. You will receive your annual membership card and new member voucher by mail or at the next meeting. If you have any questions or suggestions with this new payment method, please contact Tom Lazzaro, Stu Miller or Rosemary Forsti or email payments@geskiclub.com. If you prefer, we still accept membership forms and payment by mail or at the meetings. 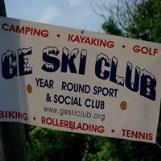 Please contact membership@geskiclub.org if you DO NOT want your contact info listed on the membership roster. Let us know if you would like to help on a committee or serve on the board. If you are paying for someone else's membership please indicate this in the Additional Info section. Doors open at 6:30, meeting starts at 7:00. Attendees are asked to use the front door facing Champlin Ave and the meeting will be held in the room behind the sliding wall divider. Our General Meeting location is the Elks Club on Champlin Ave. Meetings frequently have a speaker or program. No charge for general meetings. NOTE: If you are not a member, a membership application is also required. NOTE: If you are not a member, a membership application form is also required.